Contact Sculpted MD today for a free consultation and to learn more about the benefits of B-12 shots in Denver. How can Vitamin B-12 Help You? If you’re struggling with a vitamin B-12 deficiency, where B-12 levels in the blood are below normal, your deficiency often can be corrected easily with regular vitamin B-12 injections. This essential vitamin assists with formation and maturation of red blood cells. It also helps maintain nerve cells and works as a DNA building block. Deficiency of B-12 in the body can lead to weakness, numbness, abnormal gait, leg stiffness, memory loss, depressed mood or personality changes. However with the help of Sculpted MD, you can prevent or treat your condition fully with regular vitamin B-12 injections. The most effective way to get to optimal health and Vitamin B-12 levels are with B-12 shots. They are taken at regular intervals (bi-weekly or monthly). A regular schedule is needed in order to receive the injections in a customized treatment plan. Those with chronic fatigue syndrome or anemia require regular B-12 shots as the oral form isn’t dependable enough for their condition. Vitamin B-12 injections are used for memory loss with Alzheimer’s disease. They can also help to boost energy, mood and the immune system overall, which helps to slow the aging process. Vitamin B-12 is known to lower high homocysteine levels, which contribute directly to heart disease. They also help prevent mental illness, sleep disorders, diabetes, depression, stress, fatigue, allergies, asthma, high blood pressure, heart disease, insomnia and high cholesterol. These injections also have been used to prevent cervical cancer and other types of cancers. Those with kidney dysfunction or chronic liver disease should never take regular B-12 injections. It’s normal for some redness or swelling to occur at the injection site. This can start to heal about 48 hours after receiving the injection. It is very common to be prescribed specific supplements such as vitamin B12 injections when taking phentermine. This is because supplements such as vitamin B12 have been proven to boost weight loss received from using phentermine. However, it’s not just vitamin B-12 that enhances the effects of the drug, there is also a range of other B vitamins that have been found to be lacking in the average American diet and are essential to maximize results from using phentermine. Discover more about how Vitamin B-12 and other B vitamins boost weight loss from phentermine by working together in order to reduce side effects, help one reach their goals and boost their energy and metabolism, all at the same time. Vitamin B-12 injections are given to patients who take phentermine and as an element of nearly any weight loss program. B12 affects the body’s metabolic, energy product and fatty acid synthesis, which makes the body more efficient at converting food into energy and most importantly, burning fat. 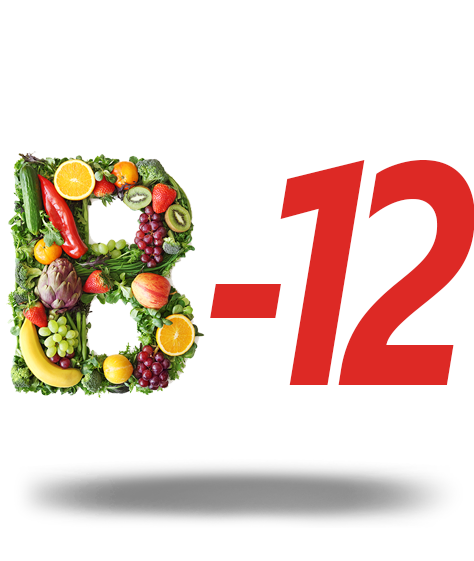 B-12 is one of the essential vitamins that a body needs, but can be lacking if one doesn’t eat much animal products. Doctors often give patients these B-12 shots with phentermine in order to combat a possible deficiency of the vitamin in the body. A water soluble vitamin, B-12 is not stored in the body making it important that it is replaced on a regular basis. While one is on a weight loss journey with phentermine on a limited caloric diet and certain dietary restriction, they may not receive their daily requirement of the vitamin. Without the proper quantity of B-12 in the body, some body processes may not be functioning well, which can lead to a sluggish metabolism and fatigue despite the stimulant effects of phentermine. This oftentimes even causes phentermine to even stop working. For this reason, many doctors prescribe B-12 when prescribing phentermine. However, there are seven other B vitamins that are just as important to ensure a healthy body with the most weight loss potential. For this specific reason, taking B12 as a part of a multivitamin rather than an injection ensures that the body has sufficient levels of all essential B vitamin. How Do B Vitamins Maximize Phentermine Weight Loss? According to a recent study analyzing the 2001-2008 National Health and Nutrition Examination Survey, nearly 98% of American adults are lacking key vitamins. When the body is lacking certain vitamins, weight loss can be compromised. Here are some of the other important B vitamins that are essential to weight loss with phentermine. B1 or Thiamine is the first water-soluble vitamins of 8 in the B complex family. This vitamin is not stored by the body. Thiamine is responsible for converting carbohydrates into glucose, which is specially needed to produce energy for carrying out important body functions. It is also needed to break down fats and protein and to make sure that the body itself doesn’t store fat on the body. B2 or Riboflavin helps with weight loss by processing energy and amino acids in the body and preventing unused energy from turning into fat. This makes sure that all your hard work doesn’t go to waste when using phentermine. It also is an antioxidant, which slows down the aging process. A lack of this B vitamin will cause dry mouth and eyes, both side effects of phentermine. To avoid these issues, make sure that you have sufficient levels of this B vitamin in your body at all times. Niacin or B3 releases energy from fats, proteins and carbohydrates so that they can be used properly by the body. This vitamin is also responsible for keeping skin healthy, maintaining the function of the digestive and nervous systems and controlling blood sugar levels, all things that are important for long term and healthy weight loss. B5 or Pantothenic Acid helps with digestion and to break down both carbohydrates and fats, which gives someone more energy and boosts their metabolism. Vitamin B6 is often prescribed along with B-12 in order to help weight loss by reducing the amount of calories the body takes in and burning stored calories. This promotes a healthy conversion of glycogen to glucose, which increases one’s energy level. It also helps the pancreas to produce enzymes that help digestion and makes digestion more efficient, which makes someone feel full longer. It also increases the efficiency of carbohydrate metabolic and prevents the accumulation of fat. Many experts believe that B6 improves thyroid hormone function, helps to burn energy and boost the metabolism, all vital things for weight loss. Biotin or B17 is needed to metabolize proteins and fats, for energy production and for healthy skin and hair. Too little of this vitamin can cause symptoms that are similar to the side effects of phentermine such as nausea, rashes, thinning hair and fatigue. Folate or B9 can be found in salmon, root vegetables, beans and dark leafy greens. It is involved in the protein digestion and metabolism, which is important for healthy weight loss. Folic acid also maintains insulin levels in the body, which is especially important for efficient fat burning. Lacking folate can cause both depression and anxiety. As you can see, it is crucial that one has all eight of these B vitamins in their body with sufficient levels. They not only make the body work more efficiently, but boost the weight loss results expected from using phentermine. B vitamins all work together in order to improve the body’s functions and to improve digestion too. It also increases one’s metabolism and makes their body convert food into energy more efficiently. Ultimately, by supplementing one’s phentermine prescription with vitamin B-12, they will reap the true benefits of all B vitamins and boost weight loss overall. It will also ensure that no side effects of using this appetite suppressant is felt by the user themselves and keeps the body working more efficiently overall, which is important for long-term, healthy weight loss.